I've covered my bases for my departure to Thailand - booked my bus ticket, booked my flight with Spice Jet and booked my hotel in Bangkok. It was painless leaving Dharamshala for the 7:30pm sleeping bus, to the 6:30am arrival at Kashmiri Gate in New Delhi and taking the train to the airport. I arrived at the airport 7:00am - a total of 12 hours waiting for my 6:50pm flight. I was prepared for that, giving allowance to any possible delay. But I wasn't prepared for what would happen next. 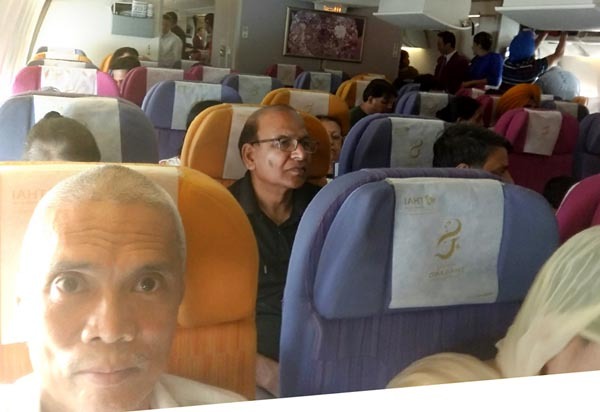 My flight from New Delhi had a connecting flight to Kolkata before heading to Bangkok, Thailand. At the domestic airport, I was told by the Spice Jet counter that the flight was 4 hours delayed and that I would miss my connecting flight. 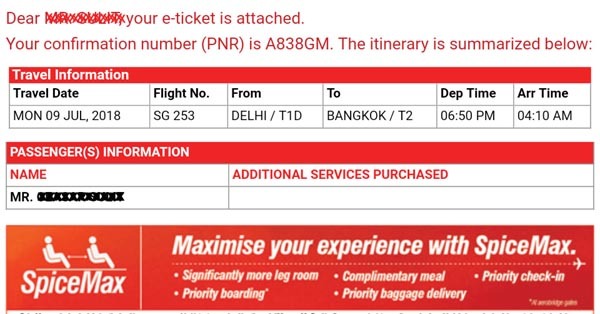 In order to save the day, they issued me a new direct flight from Delhi to Bangkok without any further cost to me. I took the shuttle to the international airport to catch that new flight. At the international airport, I arrived at the Spice Jet counter 2 hours before the scheduled 9:50pm direct flight. It should be smooth sailing but they said they wanted to see the credit card I used. I protested. Why should this flight have anything to do with my credit card when it was already paid for and accepted by the card company? The guy I was talking to, Neeraj, insisted. I told them I don't carry my card with me because I only use it for online purchases. This also prevents it from being lost or stolen. But I said I have a picture. Neeraj said the picture will do. I showed them. That should have solved the problem - NOT! Neeraj said the card number in their records did not match my card number. I said I booked my flight with Skyscanner through FlightNetwork. Either of these companies probably used their own card to finalize my transaction. They understood, but now wanted to know if I was that same person on my card. What??? Reluctantly, I showed Neeraj the private correspondence I had with Skyscanner and FlightNetwork, even used his sim number to verify that I was the same person in that card. That should have solved the problem - NOT! This time, Neeraj wanted me to book my flight using my card! What??? But I already have that flight under my name and it's already in their system! Why should I re-book for that flight? I protested vehemently. I already told him at the onset that I don't have my card with me. I kept telling him that, but still, he kept asking for it. Neeraj, in another dumb move, wanted me to rebook my flight using cash instead! It was too much. I didn't have the cash with me and even if I had, it wasn't right. Every objection Neeraj presented, I addressed satisfactorily, thinking it would solve the problem - he wanted to see my card, I showed him the picture of the card. He wanted to verify my identity, I verified it for him. But he keeps coming up with new objections. I was drawn to conclude this guy didn't know what he was doing - I was arguing with an incompetent. 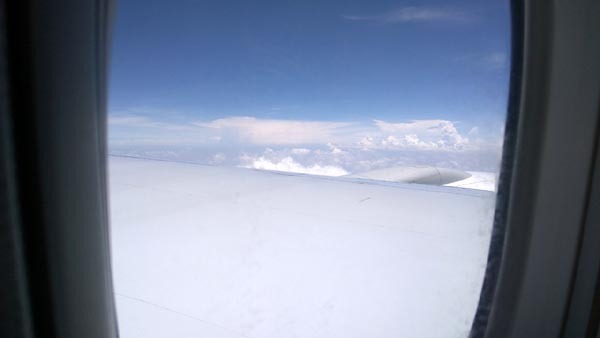 In the meantime, I was running out of time because the plane would be departing soon. It became obvious to me dealing with Neeraj was going to be unproductive. I asked for the top guy in the Spice Jet counter. Mohit (or a similar name) intervened, supposed to be a higher-up. But he didn't do anything to help the situation. He said the same thing. The staff of nearly a dozen started crowding as I was already yelling at them that no one could simply give me the green light to board my plane and let them settle it internally - which is what they should be doing. I asked them all why I should be burdened by their demands when it was their late flight that caused all these problems. It had nothing to do with me and yet I had to carry the burden of proof or burden of payment or whatever else they were asking for! No one...no one made the executive decision to take responsibility. They all stood there stoic as I watched my plane fly without me. When I started taking their pictures, they all looked away. What they finally offered was a refund of my original flight - as of this writing, no reversal of charges have been made. Because I lost so much time with all the negotiations that proved pointless, I missed the other flights offered by other carriers. The only flight I could get was Thai Airways for 11:40am the following day - that's another 12 hours away!!! This also meant I had to pay regular price and sleep in the airport. 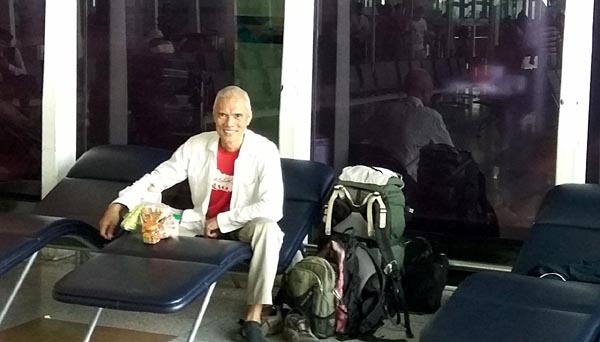 By the time I boarded my plane, I was already in New Delhi airport for 29 hours. All that delay including the discomfort of sleeping in the airport were needless if the Spice Jet people were only competent enough to have handled my situation professionally. Booking with Spice Jet was a hard lesson learned. Please note that as per our records, the payment for above PNR was made using foreign issued card. For all foreign (Non-Indian) credit / debit card payments, the card must be produced for physical verification at the airport check-in counter if the passenger is the cardholder. Incase the cardholder is not travelling, it is mandatory for the passenger to furnish to the airport check-in staff a physical copy of the front side of credit / debit card duly authorized by the cardholder, along with cardholder's valid proof of identification. In the absence of such credit / debit card or copy and/or identity mismatch, we will be constrained to refuse the boarding. As the passenger was not carrying the required documents (i.e. credit card) hence he was not allowed to board the flight. We have already processed full refund of INR xxxxx towards the same card from which the payment was made as the flight was delayed by more than 120 mins. Kindly get in touch with your bank for clarification. Further, we have reviewed upon your concern however we are not in position to process your request for compensation in this regard. 1. "the payment for above PNR was made using foreign issued card. For all foreign (Non-Indian) credit / debit card payments, the card must be produced for physical verification at the airport check-in counter if the passenger is the cardholder"
Of course it's a foreign-issued credit card! People traveling within India are not all locals. India as a destination is as foreign as it gets. I have been traveling in-and-out of 18 countries using my credit card to pay the airlines online - once my booking is paid for and confirmed, the transaction is secured. I have never been required to present my credit card upon check-in...ever! All I ever have to produce during check-in are my passport and my booking confirmation. As I stated in my original letter, the "verification at the airport check-in counter if the passenger is the cardholder" has already been done. I used Neeraj's SIM number so that I get the verification from my bank that I am indeed the cardholder. This was done in front of Neeraj. He was privy to the confidential transactions I had with my bank and Skyscanner. This is already too much divulgence to your staff if you think about it. But I did it because Neeraj insisted and I had no choice. 2. "In the absence of such credit / debit card or copy and/or identity mismatch, we will be constrained to refuse the boarding"
Of course there will be a mismatch. Skyscanner was paid using my card. And Skyscanner (or FlightNetwork) used its card to make my booking with you. You received Skyscanner's card and not mine. I already explained that in the first letter. Why do they keep repeating this argument? 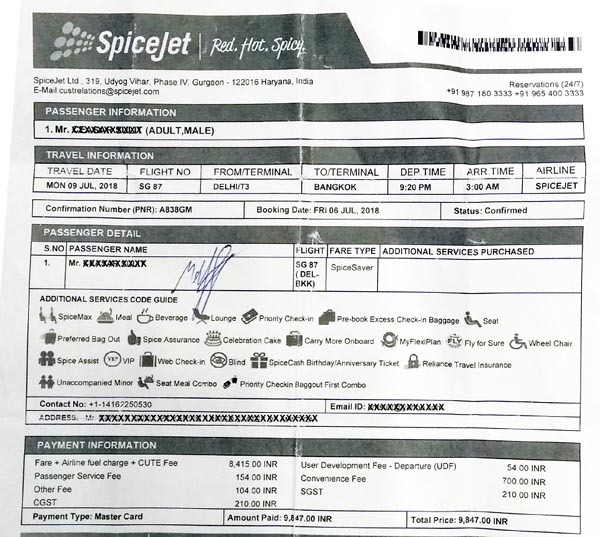 If the actual credit card had to be presented to allow boarding (which doesn't even make sense given that the transaction has already been secured), then WHY did Neeraj demand to see the picture of the credit card? Then, WHY did he insist on verifying that I am indeed the card holder? And after satisfactorily complying, he still disallowed my boarding? Was he just stringing me along? Or was he just incompetent and didn't really know what he was doing? His incompetence caused me a great deal of aggravation, caused me to lose precious time to make other bookings and caused me to sleep in the airport. Do you not appreciate what I had to go through because of his incompetence and your ill-conceived policy? Again, if you refuse to reimburse me for the Thai Airways flight, I will continue to escalate this. What you put me through is a deplorable implementation of a flawed policy. I hope you give this matter a serious consideration because it will not go away. I only ask your sense of fair play and you know it. (July 23, 2018) So sorry to hear! 29 Hours in an airport in Delhi just because you don't carry your credit card - what could be worse? (July 21, 2018) ...never heard of them but will never fly with them now that's for sure. Bunch of loonies. (July 21, 2018) Thank God, while booking my flights for Bangkok yesterday, I dropped all these low cost airlines in favour of Thai Airways. Good sense prevailed as luckily I spoke to my sister n brother in law before booking. I had a similar experience few years back and realised it's better to pay a little more in favour of a better airline than go through this agony. (July 21, 2018) What a horror story.. some low cost airlines in Europe are as bad.. the stories of Ryanair are probably the worst. Next stop: Fork on the Road: Abundance or Poverty by Choice? if taking the New Delhi Airport Express Metro upon landing, buy a Metro Card and load it up. It saves you time (instead of lining up to buy a ticket everytime you ride the Metro). Besides, riding the Metro is the most convenient way of getting across town - no traffic! Delhi is aggressively promoting the "water re-filling" station, usually located along the Metro stops. Use it! It stops more plastic bottles ending up in the bellies of whales! 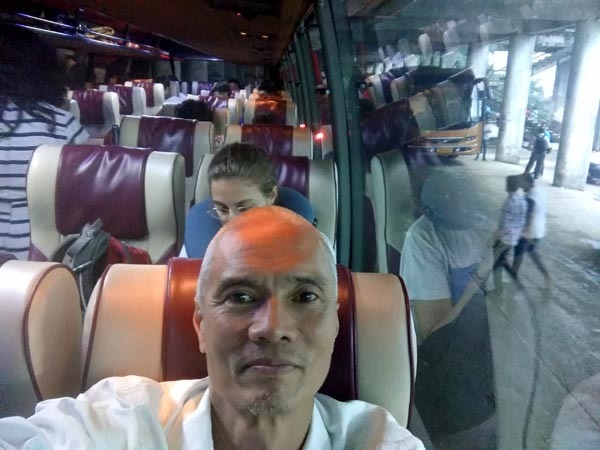 »» next Traveling story: Fork on the Road: Abundance or Poverty by Choice?